To say I was inspired by one of our entries to the eP embossing challenges would be an understatement!! When i saw Judith's adorable card I was inspired to try a new technique with some of the Art Anthology dimensional paint. I wondered what would it look like if I painted the background and then used the paint through a Prima stencil? The paint is a little more loose than embossing paste so you don't develop a super crisp image but I love the subtle embossed image again the background. I also loved the way the mist puddled on the dried paint and created highlights in the indentations. I used an old TA mist for the subtle yellow and Dylusions sprays in Calypso Teal and Dirty Martini for the splatters and green accents. 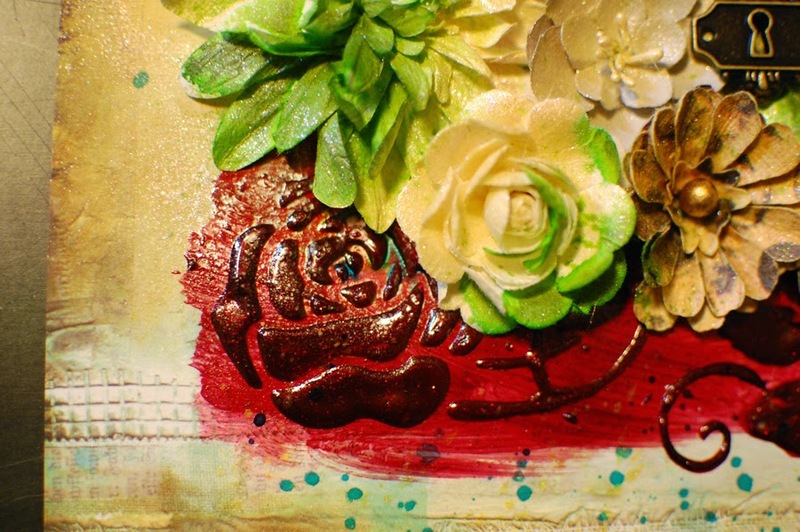 I used some Petaloo color me crazy flowers and Prima Cartographer flowers. The Key hole and resin pieces are Prima as well. Loved this fun pic of aubrey Sue for this super fun bright layout. Hope you enjoyed my take on embossing! What a great design for your page Andie! love that photo and your bright colors and beautiful blooms! Lovely. What a great way to use the paint and stencil. It's gorgeous girl! Really love the bright colors too and now my ever growing wish list just grew some more, lol..... PS Love that photo. Oh Wow, Andie! This is GORGEOUS! First that photo is Adorable and oh so Happy and I LOVE your cibrant colors and embossing! FAB layout! 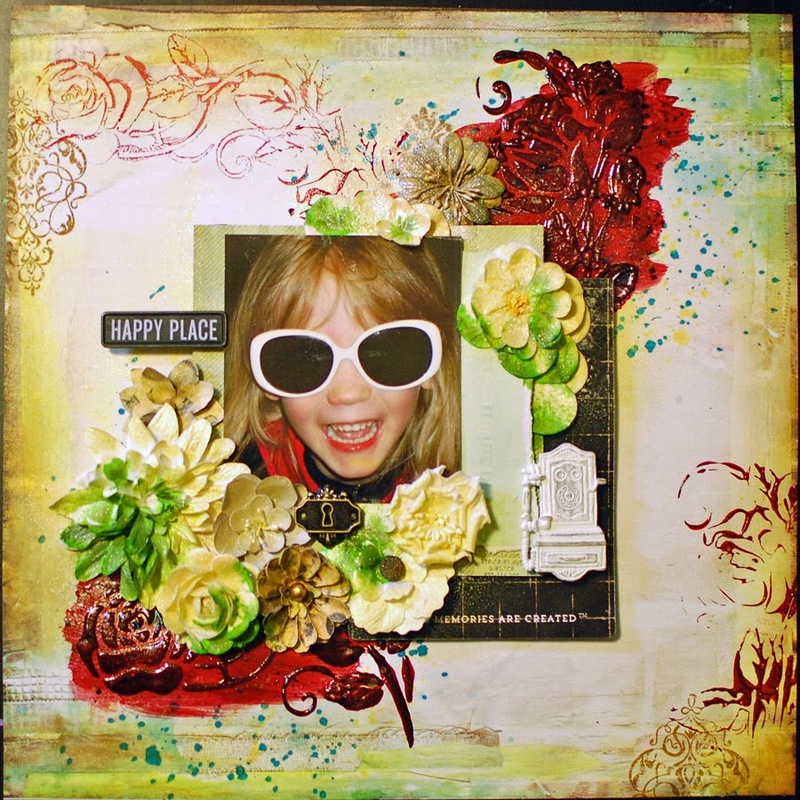 Altered Frame - Prima Decor II! Family Mini album part deux!